Synopsis: The three main things to succeed at, introduces our mini-love-lesson; followed by a look at balanced living; and then what is and is not successful living, including where you got your ideas from; and where you are headed. Is It True That to Succeed at Life You Need to Succeed at Three Big Things? Quite some time ago, after a lot of study and research into the human condition, different groups of scholars came to the same conclusion. Several times later, others also came to that same conclusion. They concluded that to have success at life one must succeed at three big things. Do you know what they are? Before we go on to tell you what they are, can you guess? Put simply, to succeed in life you must succeed at love, work and play. If you succeed at only one or two of these, by that way of looking at it, you are not succeeding at life. There are lots of types of love, many kinds of work and a whole lot of ways to play that a person may need to learn how to succeed at. There is love of a child, parents, family, a spouse or love mate, very close friends, pets, self, country, causes, deity, life itself and a whole lot more to think about in the love category. In the work category, there is work for survival, money, fulfillment, education, health, relationship, lifestyle, home, self discovery and self development, not to mention cleaning, housework, yard work, kitchen work, plus a lot more. Before we talk about play, we have to mention play and its other word ‘recreation’ which used to be thought of as frivolous, unneeded, a luxury, childish, at best a fringe benefit and at worst a corrupting influence. In fact, many people still teach and preach that this is true. However, the truth about play is in that other word for play, recreation or ‘re-creation’. It turns out that largely through play we often are psychologically re-created. This is true not only for individuals but for couples, families, friendships and a host of other interacting networks of people. It is through play that children learn about the world, and themselves and why it is often said ‘play is the work of children’. Not only is play re-creational, it often is what precedes the best of creative effort. Play at its highest level leads us into the art forms and their enjoyment, travel and its many enrichments, sports and a host of other ways that people become more than they were. Play also is something that many people find integrates well with many forms of work. Of course play often is usefully wonderful when it is intertwined with love. Play also can be tremendous for health. Spirited physical play for exercise, relaxing play for stress relief, intelligent play for mental acuity and distracting play for cognitive clarity – all help us be more healthful. For healthy self-love, healthy couples love and healthy family love, it is best to shape your life-styling toward a balance of love, work and play, such as you might create a healthful, balanced diet. That is what the research recommends. We all know that when the work does not get done, successful living is not likely. That also turns out to be true for love and play. 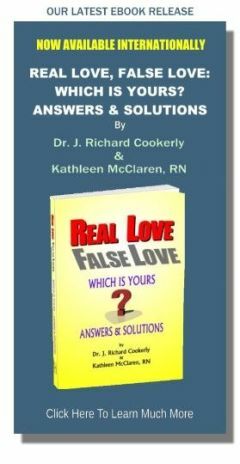 Deficient, reduced or nonexistent actions and expressions conveying and receiving love, turn out to be the number one reason for love relationship failures according to some research. This especially is subtly destructive because it involves non-action which is so much harder to notice than things like blatant abuse, or demeaning and devaluing words and acts. Those negative actions, by the way, are the number two reason for love relationship failure. Concerning play, the continual re-creation effect of play brings health, happiness and the spirit maintenance we all need. For couples, the axiom “date your mate or lose your mate” applies (see mini-love-lesson “Date Your Mate – Always!”). Couples who do not have enough recreational time together tend to become much more irritable, displeased, stressed, drained, combative and unhappy. This same thing also tends to be true for a great many families. From this understanding, successful living is living a life diet balanced between love, work and play. If every day you have at least a little of each, you are likely to do well at life. If you are a couple or a family and every week you manage to do a dose of love, work and play together, you are likely to do well. In our busy lives this often is hard to achieve. 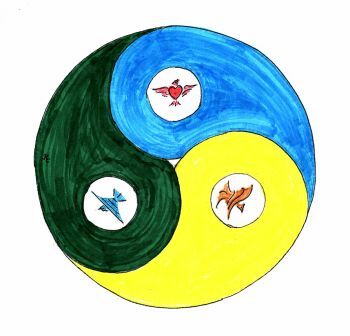 Things come along and make us live ‘out of balance’ for a time but then the job is to get back to the balance. What is your idea of success? Is it mostly about how much money you pile up? Is it about beating everybody you know in the status achievement game? Could it be about having more enviable toys or just more envy producing stuff. Might it have something to do with raising fine children? Has it been about popularity or fame? Does it have to do with how many you have bedded? Could it be about trophies and honors? Maybe it is about how much fun you had. Then again, maybe it is about how much love you have given and received, how much good you have done, and how well you enjoyed your journey of life. Where Did Your Ideas about Success Come From? It is a good idea to look at where your ideas of success came from. Many of them may have originated in your social, cultural and certainly in your earlier family environments. A lot of people get new ideas about success in college or in early career settings. It has been found that lots of people’s ‘model’ for success and successful living comes from people who have had an especially strong impression on them. That turns out quite well for some, useless for others, and disastrous for still others. Do You Need a Success Ideas Overhaul? Will your ideas about success cause you to fail at life? Do your ideas about success need an overhaul? Do you need to add some new ideas or standards? There are a lot of people who have succeeded, perhaps even greatly succeeded in one way or another, but who actually have failed at life. There are a surprising number of rich and famous people, and others regarded as highly successful, who are living miserable, tortured lives because their success is not balanced. Usually their diet of life not only is out of balance but it also is toxic. Maybe they are at the top in their work but they are driven and have little fun, and they are not by any means well loved. There also are those who are great at playing, having fun, recreation, etc. but fail at work and love. And there are those who love and are well loved but whose work and play life leaves much to be desired. Can you say “I truly love my work, I love the many ways I know how to enjoy playful living, and I love well and am well loved”? If you can, wow, you’re doing great! According to the way we are looking at it in this mini-love-lesson, your success in life has to include success having to do with love, work and play. After each birthday or New Year, you might want to ask yourself these questions. Have I worked well, loved well and played well in this last year? Are you doing so now? A life without meaningful, productive work (which includes volunteering, unpaid contribution work, serious avocations, etc. ), perhaps of several kinds, would not be considered successful. A life without love, probably of several kinds, also would not be successful. A life without experiencing many different enjoyments that can occur while recreationally involved, also can be seen as less than fully successful, no matter what one’s other successes are. A life without mixing your love, work and play together also might be seen as less than fully successful. So, now what do you think? And what might you be going to do about what you think? What do you succeed at most – work, play or love and the many forms of each?